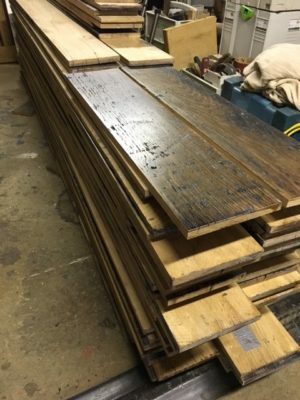 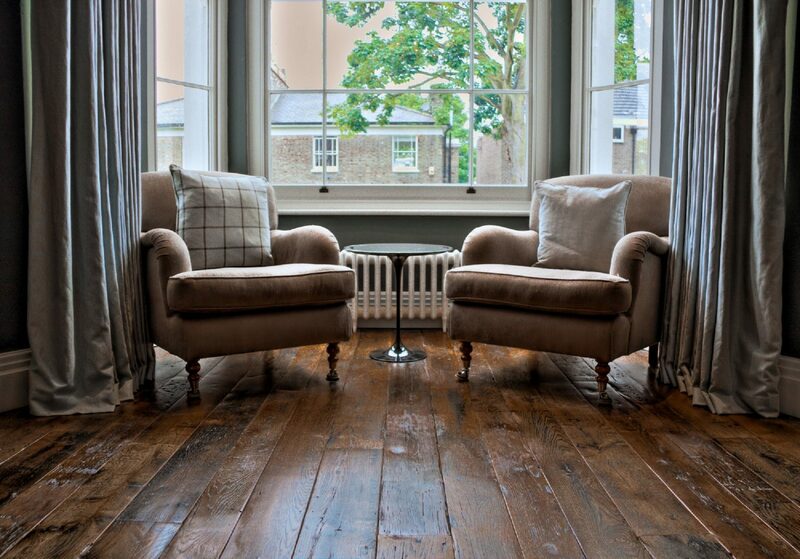 These boards are heavily worn and patinated French oak. 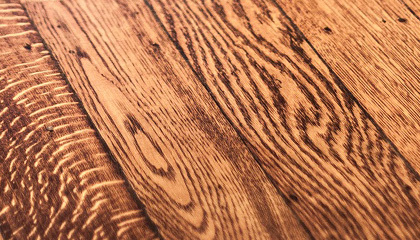 After a lifetime of severe use these surfaces offer a full range of finish possibilities. 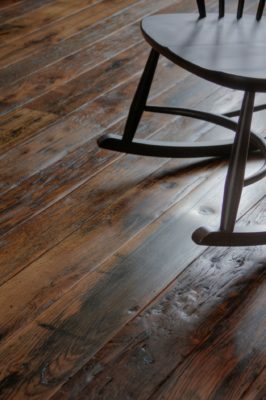 We can restore these surfaces to include that age and character and polish them with traditional waxes or oils to your taste. 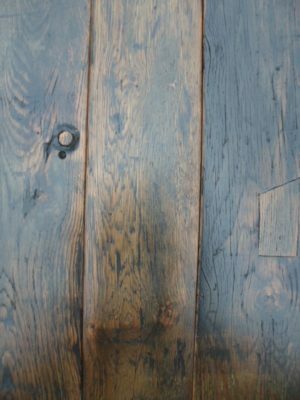 They have bolt and nail holes, and surface shaking, all of which can be repaired, patched, plugged or filled. 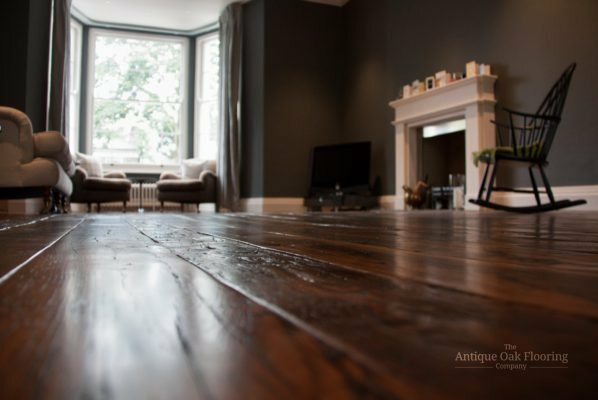 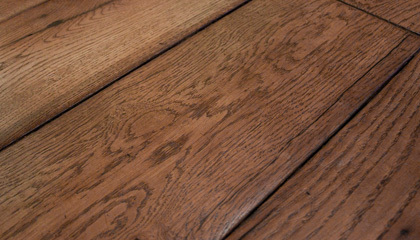 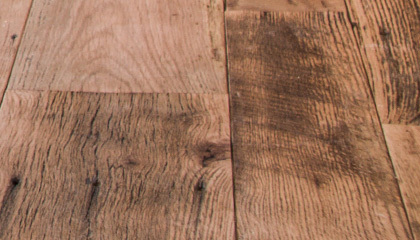 Skilled surface restoration then completes the process to produce an Antique Oak floor that would grace the most testing of period interiors or simply to offer a characterful backdrop to your design led interior project. 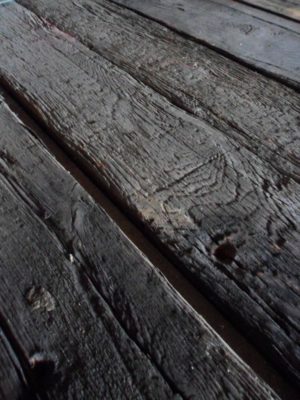 We can supply the boards unrestored or finished. 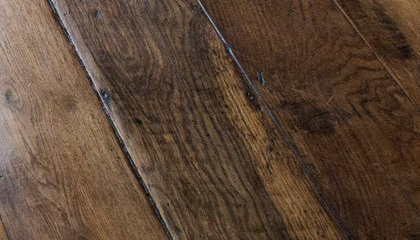 £125 – £245 per square metre excludes VAT and carriage.